For hospitals, re-admissions rates dictate the quality of care and they are also penalized by reducing government payouts for high re-admission rates. 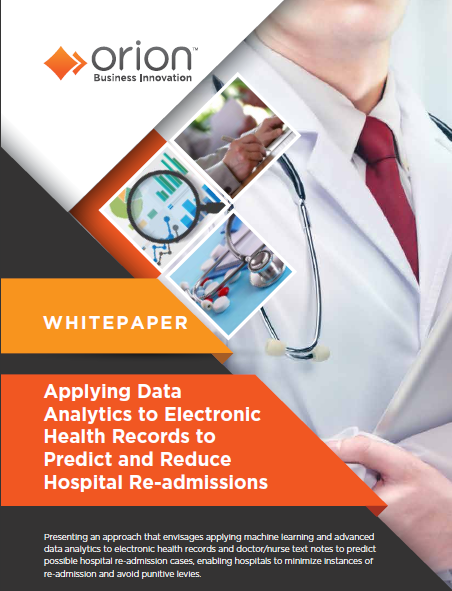 Irrespective of whether you want to avoid penalties or just improve your patient care, data analytics may be the solution. By combining social and economic data with electronic health records (EHR), hospitals and doctor’s offices can easily create patient profiles that will predict how likely they are to require re-admission, even before care is provided. Combining real-time and accurate data with a deep understanding of what causes patients to experience distress is the most important skill not just for identifying re-admission rates, but for actually reducing them. By focusing on patients in the high-risk segment, hospitals can target patients with a higher likelihood of re-admission for additional care during their first visit, and thus reduce the re-admission rate of these patients. Download the whitepaper to learn how to use advanced analytics to handle re-admissions rates effectively.